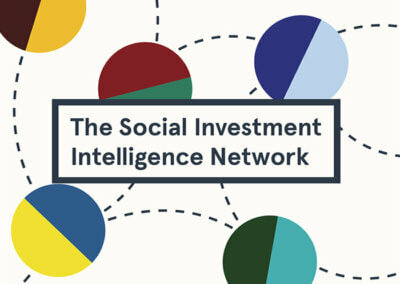 With the support of the Connect Fund, Social Spider is piloting the Social Investment Intelligence Network (SIIN), with the aim to review the demand-side perspective of UK social entrepreneurs and charity leaders. The Network of 10-12 social entrepreneurs will meet on a quarterly basis to review the social investment market, current demand, and consideration of what activities or initiatives are currently relevant to social enterprises, charities and other social sector organisations. The report on their first meeting has just been released. It explores panelists’ perspectives on a broad range of topics related to the social investment market, and their experiences of it. You can download a copy of the report here.